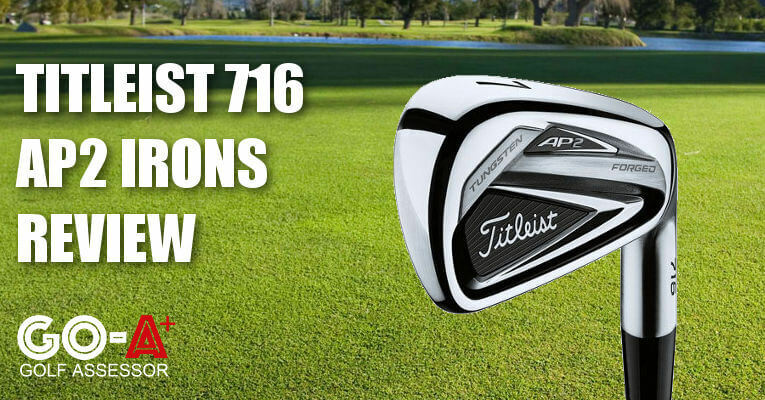 On this page you’ll find our detailed assessment of the Titleist 716 AP2 Irons, the pros and cons, and a side-by-side comparison with other irons we have recently reviewed. We reviewed the Titleist 716 AP2 Irons as part of our Best Golf Irons Review. 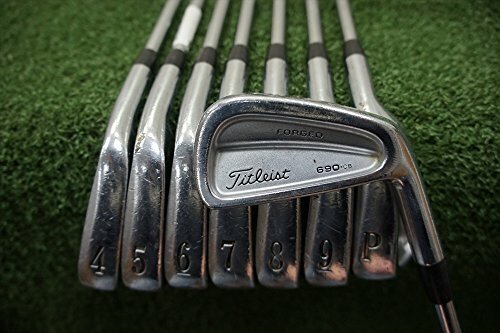 If you already own the Titleist 716 AP2 Irons please leave your review in the customer review box at the end of this article. 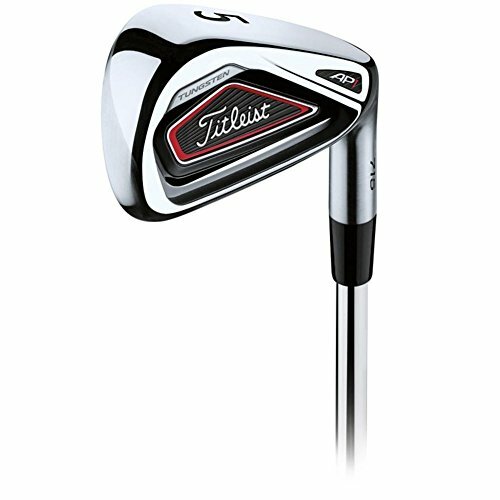 Looking to buy the Titleist 716 AP2 Irons? Titleist have always been a leader in irons and the 716 AP2’s lead the way in terms of technical achievements. Plenty of forgiveness in the longer irons make these irons an absolute pleasure to play. Use the quicklinks below to navigate our Titleist 716 AP2 Irons Review. 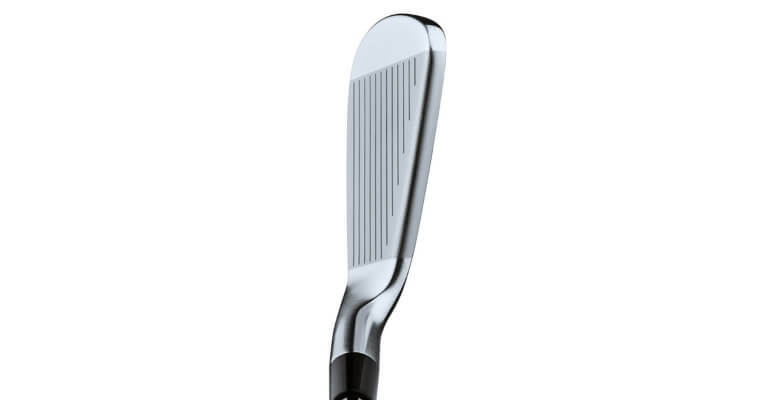 There is simply no other forged players iron that can meet the technical achievements of the 716 AP2. Even with its compact size, the 716 AP2’s still manage to offer more forgiveness throughout the longer irons. 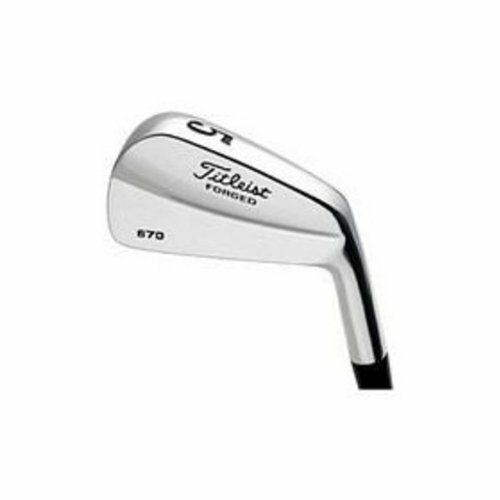 Titleist uses an average of 56 grams of the high-density tungsten material in the 3-7 irons of the 716 AP2, which maximizes the moment of inertia (MOI). Whilst not really a distance iron as such though, the 716 AP2's are exceptionally consistent in both distance and shot dispersion. THOSE are key points in most player's wants and needs. Beautifully soft feel at impact and forgiveness that makes the game that much easier...great choice. Distance control and shot dispersion is fantastic right through the set. 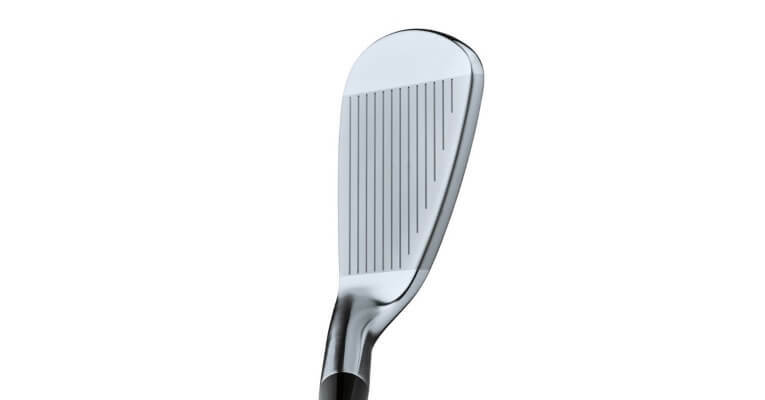 A compact clubhead with very little offset appeal to the lower handicap player. There is simply no other forged players iron that can meet the technical achievements of the 716 AP2. The irons have followed a design strategy that resulted in its predecessor, the 714 AP2, being used to win all four major championships from 2013-2015. 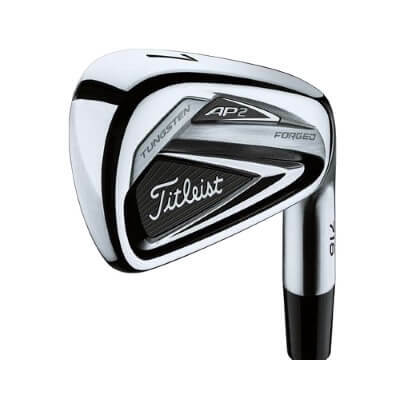 What Titleist also continues to get right with the AP2 line is its compact size, which somehow also manages to offer more forgiveness throughout the set. A slightly thickish top line and nothing quite like the Cobra King Forged, but by no means ugly. Think of it rather as a bit of help in ball-striking and consistency. 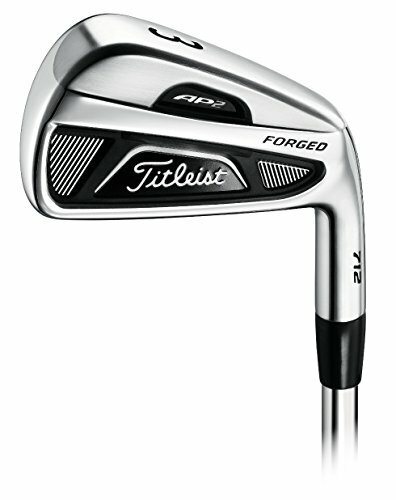 Titleist uses an average of 56 grams of high-density tungsten material in the 3-7 irons of the 716 AP2. Competitors don’t even approach half that number. What’s also particularly noticeable is Titleist’s co-forging process, which is basically the way the tungsten is distributed throughout the club-head. Each of the iron heads (3-7) is fitted with a specialized pair of tungsten weights, which are forged into corners of their soles to maximize the moment of inertia (MOI). What does this all mean for your game? Put simply, better feel and more distance! Stemming from the build quality, the co-forging of the tungsten weights throughout has allowed for the retention of the butter-smooth acoustic quality similar to other 1025 steel forgings. In addition to the great sound at impact, the feel is exceptionally soft, due in part to the tungsten insert technology that results in less twisting of the club-head at impact. There is simply no other forged players iron that can meet the technical achievements of the 716 AP2. Even with its compact size, the 716 AP2’s still manage to offer more forgiveness throughout the longer irons. Whilst not as long as some competitors such as the Callaway Apex Pro 16 Irons, it is one of the most consistent clubs we’ve tested in terms of both dispersion and average distance. The latter is most important as it allows the better player to trust the distance as well as his/her distance control on risky approaches. The feel through impact on a grass surface is phenomenal… the pre-worn leading edge and cambered sole allow for superb contact through the turf with little resistance on solid strikes. 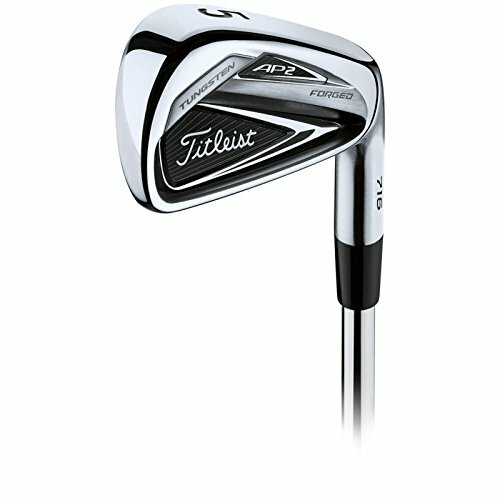 The AP2 irons allow the better player to maximize potential and build confidence round after round with it’s exceptionally good playability right through the set. 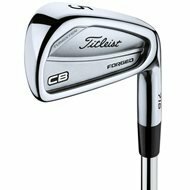 Long irons are relatively easy to hit and the short irons have a thicker blade type feel. Whilst not providing the longest distance I’ve ever seen or experienced – they are a quality set that will last you a number of years without you really feeling the urge to HAVE to change. 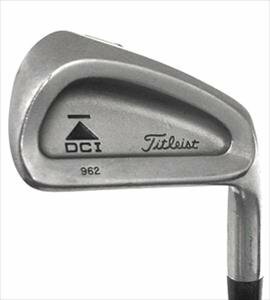 They are still somewhat on the pricey side as mentioned earlier, but if you’re a Titleist fan or you’re just looking for trustworthy quality then look no further. 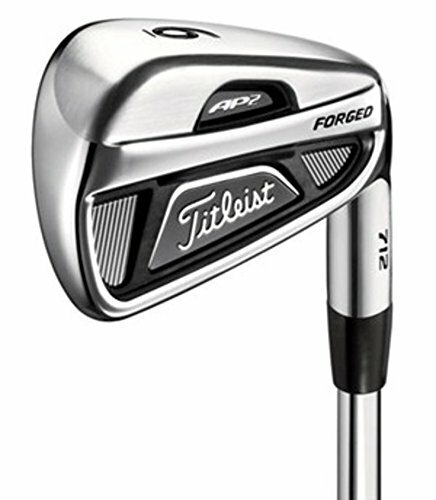 The AP2 irons are a set that will stand the test of time! Behind the scenes look at the successful build of the Titleist AP2’s that highlights the fact they are ‘the most advanced set of irons Titleist have ever made’.